(CNN) -- A private team looking for a U.S. professor who disappeared on a volcanic island in Japan 11 days ago will descend Friday into a ravine the searchers believe he entered, a team representative said. Craig Arnold was doing research for a poetry and essay book on volcanoes, a colleague said. Footprints and other signs show Craig Arnold hiked up Shintake volcano, and clues discovered Thursday indicate he entered a steep ravine on the way down, said David Kovar, a representative of the U.S.-based rescuers. "Since light was falling and they were not equipped with ropes to descend into the area, [the team] called it a night Thursday. [Friday] morning, they and the Japanese searchers who are assisting them went back to where they stopped, and they will ... [go] into the ravine," Kovar said. Arnold, an award-winning poet and assistant professor at the University of Wyoming, disappeared April 27 after starting a hike to Shintake volcano on Kuchinoerabujima, an island in southern Japan, the school said. Arnold, a creative-writing professor who took a semester off from teaching, was doing research for a poetry and essay book he is writing about volcanoes, according to Peter Parolin, head of the university's English Department. Dozens of Japanese searchers looked for Arnold for more than a week, well beyond the normal three-day limit for searches, his family and police in Japan said. Arnold's family hired the private, four-member team to continue the search, and the team arrived on the island Tuesday, according to sister-in-law Augusta Palmer of Brooklyn, New York. As a child, Arnold lived for a few years at Okinawa, Japan, where the U.S. Air Force had stationed his father, Palmer said. Japanese authorities scaled back their search this week, but part of a local fire brigade are rejoining the search after taking a break, said Rebecca Lindenberg, Arnold's partner of six years. Authorities speculate that Arnold, 41, reached the top of the volcano but ran into some type of problem coming down into an area with heavy vegetation, Palmer has said. Authorities "conclusively ruled" that he didn't fall in at the top, Palmer said. The private rescue team -- a partnership between California-based 1st Special Response Group and Idaho-based Joel Hardin Professional Tracking Services -- has been able to identify Arnold's footprints by comparing them to a photograph he had previously taken of his own footprint in volcanic mud, Kovar said. The team also is looking for disturbed vegetation and other terrain elements, said Kovar, 1SRG's founder. It believes it is possible to find Arnold alive, he said. "People have survived for longer periods of time in harsher environments. We try to keep an open mind," Kovar said. Lindenberg added that the weather on the island has been fair, with slight amounts of rain from time to time. "Everyone understands how grave the situation is, but we've been told this situation is not hopeless," she said. "The team believes that the conditions are optimal for long-term survival." 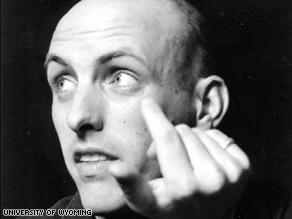 Arnold, according to the University of Wyoming, has written two award-winning volumes of poetry: "Shells," chosen for the Yale Series of Younger Poets in 1999; and 2008's "Made Flesh." His work has been anthologized in several volumes of the Best American Poetry Series, and his awards and honors include a Fulbright Fellowship and the Joseph Brodsky Rome Prize from the American Academy of Arts and Letters, according to the university.